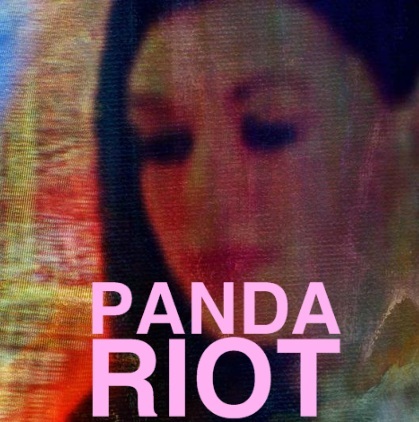 Your resource for all things shoegaze and dream pop: Interview: Panda Riot. 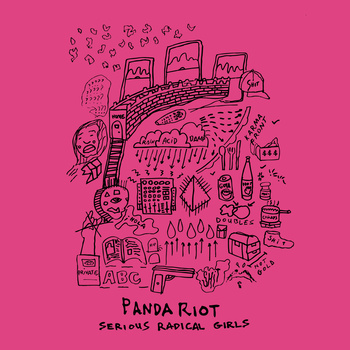 How and when was Panda Riot formed? Rebecca: We (Brian and Rebecca) first formed the band in Philadelphia. We were making a short film and made the soundtrack for it. We realized that we really liked the music that we were making so we started the band. Brian: Panda Riot came about kind of by accident. Rebecca and I were working on a short film and when it was complete we realized we'd needed a soundtrack for it so we just made a bunch of little pieces of music. 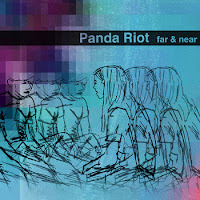 People seemed to really like the soundtrack afterwards and from there we started writing some Panda Riot songs. Later we added Justin on Bass and Jose on Drums. 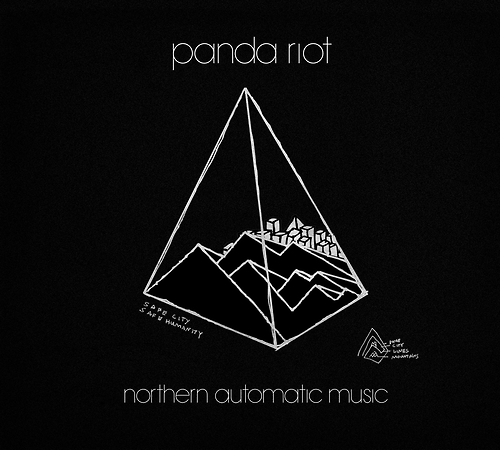 Jose: I joined Panda Riot as an Aux Percussionist in the fall of 2011. We have a new record coming out February 19th called Northern Automatic Music. It’ll be out on Saint Marie Records in the US/UK, Vinyl Junkie in Japan and White Wabbit in Twain. Locally, a label called Notes and Bolts is putting out a limited edition single Flexi for one of the tracks off the album called Amanda in the Clouds as well. I don’t think we’ve ever worked so hard on a record as we did with this one and it feels good to know people from all over are going to hear it. Brian: Even though we have certain shoegaze elements we are more into other things influencing us than shoegaze bands. Rebecca’s voice for instance would sound really dreamy no matter what kind of band she was in. 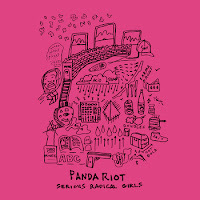 Its just that in Panda Riot we really push that idea. Rebecca: When we make songs, there is a shoegaze element, but we all have really diverse influences, everything from classical music to hip hop. When we write, we don’t think about genre, we just write what we think feels and sounds good. Brian: I mainly use these discontinued MagicStomp pedals. They are really flexible effects processors. It gives you a basic starting point, but you can edit a ton of parameters on a computer. In that way, it gives you the freedom to really experiment and shape the sounds you want. My main guitar is a 1960's Harmony Silhouette. In the 60's these would be the kind of guitars you would find in a department store. It's kinda like a variation of a Jazzmaster although the pickups on the guitar are really unique and have a saturated type of midrange sound. I also starting building guitar pedals for certain songs on this record, as well. For amps, we mainly use a Vox AC-15 and weird old Fender Twin that’s just the head part of it run through other speakers. Brian: Our last record, the Far and Near EP was kind of our sparkle-y daytime record. We wanted this album to be more of a nighttime record with a darker feel. I was more focused on texture and melody this time. We tried to approach every song from a fresh perspective and not assume that there was a “standard,” way of doing things. There was no start and finish to most songs in a linear fashion. We would write new parts, record, and mix all at the same time, adding, rearranging or re-recording things as we went along. If we heard something interesting while mixing or had a new idea about a new section of a song we would completely change direction and try to incorporate it. This meant recording multiple versions of songs to look at them from different angles, trying strange mic placements while recording and mixing instruments in different ways. The songs were constantly evolving throughout the process. The original demos to most of these songs don’t even remotely resemble the finished versions. Some weren’t even ever demo’d, but made up bit by bit and composed while mixing. As far as recording software, we use Logic Pro 9. In the end the software doesn’t matter though it how you use it that matters. I think its all super exciting. The internet is such a great asset to musicians and fans. You have sites like soundcloud and bandcamp to get your music heard and tons of blogs that are eager to listen to it. Its all subverting the idea that you have to rely on traditional mediums like print magazine and MTV. The same is true for recording as well. The idea that someone can make an album with a laptop and radioshack mic and that you can just put it out there feels so liberating. We’ve done both and it all depends on a lot of things. A label is nice when you both see eye to eye on things and they support what you are doing or want to do. Then it works as a way to push things forward faster. Brian: Vinyl is probably our favorite but we have no problem with CDs. Both Vinyl and Cassettes are kind of cool because you are more likely to listen to a whole side A instead of skipping around. Even though I prefer not to listen to mp3’s you can’t argue with how accessible they are and that matters alot. Aside from the format wars type of thing, I think what matters more is what people are listening to things on. Laptop speakers? $12 earbuds? Some nice monitors? I think that affects the musical experience way more than format. Sometimes I wonder if I like the idea of vinyl because people are more likely to play a record through speakers as opposed to earbuds. I think the whole thing is like the difference between looking at a painting in a magazine to seeing it at a museum. You really feel the physical aspect of a recording from playing on good speakers really loud. Brian: I was really into Joan Mitchell (the painter not the folk singer) for some of the songs. She does these really abstract yet totally emotional paintings. I generally like taking cues from things other than music when writing and recording. I hardly listen to any other music at all when writing or mixing. The film maker Jordan Belson was also in mind when writing some of this. Again he's working in a completely abstract framework yet somehow making it emotional. I liked this idea of working with abstraction and wanted to try to take something like that and fit it into the context of a pop song. It was important to us not to have anything extra in the song. 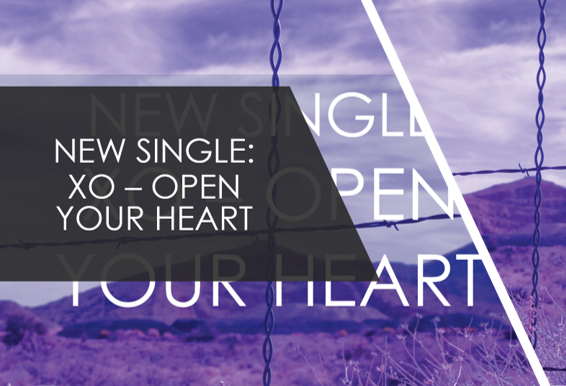 To try to say everything the song needs to say but in the framework of 3-4 minutes. Rebecca: I study philosophy and I am influenced to a certain extent by the philosophers I study who describe human beings in terms of incompleteness and desire. Plato’s Symposium, for example, is all about the tragic situation of being human in which we know that we can work to be better than we are but we also know that we will never be completely satisfied. We are in touch with something higher than us that we can never quite grasp. I think that the beauty and tragedy of the human situation reflects the emotion in a lot of the songs. Jose: I was influenced a lot by Brian Wilson's usage of the "Wall of Sounds" concept. Brian: I usually come up with the guitar and drum machine parts for a song. We might run through that basic idea in practice to see if it makes us think about any different things we'd like to add, subtract or change. After that I'll record about 10 minutes of Jose improvising drum parts while playing with the drum machine. Afterward we'll listen back to that and choose sections that we like and sometimes chop up the drum parts to make brand new parts. In a way, a lot of the live drums are actually sampled and recombined versions of live playing. Once we have the guitar, drum machine and real drum parts down we'll record Rebecca singing to the track a bunch of times. Sometimes a vocal melody will be fully formed right off the bat. Other times, we may record a lot of vocal tracks, listen back, grab the best parts and recombine to form new melodies. After that we'll add a bass part which usually either composed by myself, Rebecca or Cory. Rebecca: The essence of human reality is to be at one's core in relation to the Other to whom I am inevitably and infinitely responsible. In other words, ethics precedes ontology. Levinas 4 LYFE. So, you're trying to appease me for not posting part II on Saturday by posting an interview with one of my very favorite bands? 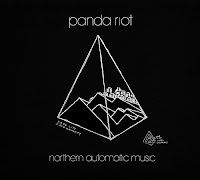 I pre-ordered Northern Automatic Music over at Saint Maire and am so looking forward to it! Bandcamp Track of the Day: Boris. Cosmos (Pt 1). New Video: Fonda. Seeing Stars. 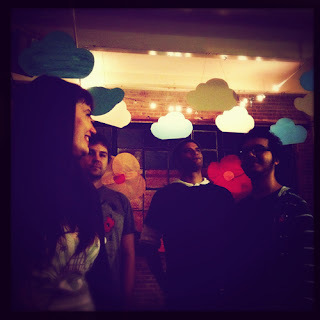 Bandcamp Track of the Day: Sun Glitters. Mouth. Melody's Echo Chamber. Some Time Alone, Alone. New Video: The Foreign Resort. Tide. Must Hear Track: Pastel Blue. Ariel (2011). Stream the new Gliss album Langsom Dans. 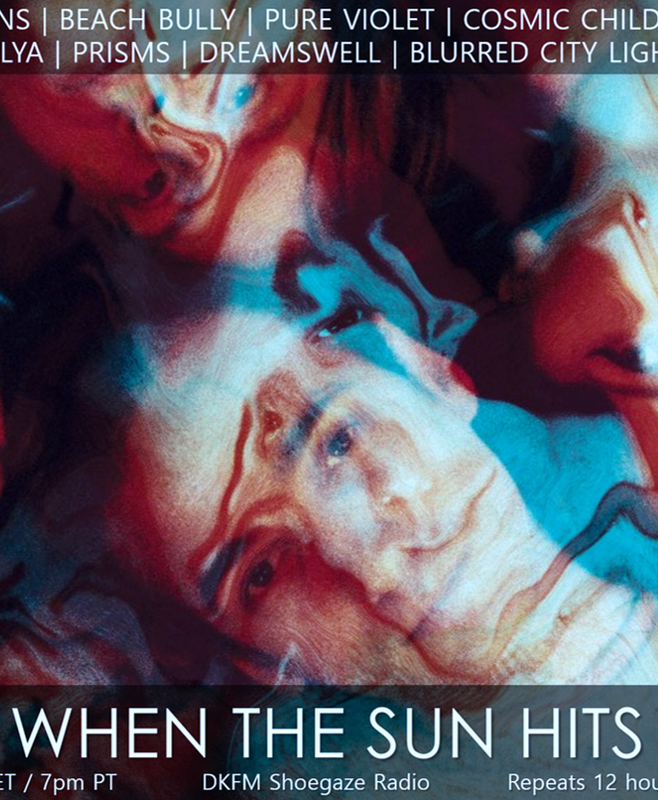 WTSH Classic Trax Archive: Slowdive. Machine Gun. Video: Dead Leaf Echo. Kingmaker. New Video: Tame Impala. Mind Mischief.